Heriot Watt University is one of the world's leading universities for business and industry with a rich heritage stretching back to 1821. 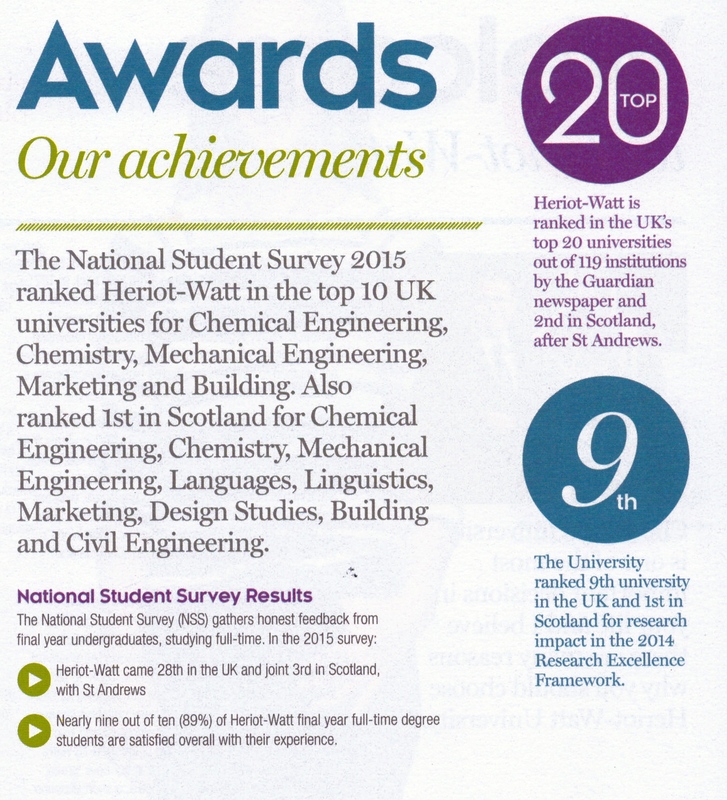 Since that time Heriot Watt University has established a reputation for innovative education, enterprise and ground-breaking research. Heriot-Watt is a truly global university - with a vibrant academic community of over 34,000 students from more than 150 countries studying for degree worldwide. 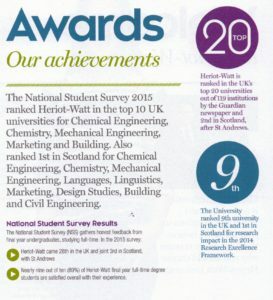 The average starting salary of a Heriot-Watt graduate six months after graduation is in the Top 20 in the UK and 2nd highest in Scotland (Sunday Times Good University Guide 2015). The University has several subjects ranked top 10 in the UK. Subject strengths following The Complete University Guide, 2017 include: Building, Chemical Engineering, Art & Design and Town & Country Planning. Guardian University Guide 2017 include: Building and Town & Country Planning (2nd), Accounting and Finance (3rd) and Top 10 for Economics, Physics and Fashion Textiles. 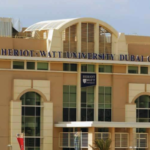 Heriot Watt University Dubai is a branch campus of Heriot Watt University based in Dubai, United Arab Emirates. Heriot Watt University Dubai provide specialised programs in the fields of management, engineering, built environment, food science and fashion. All programs are taught by the university's own faculty, many of whom are permanently located in Dubai, supplemented by visiting experts in key fields.